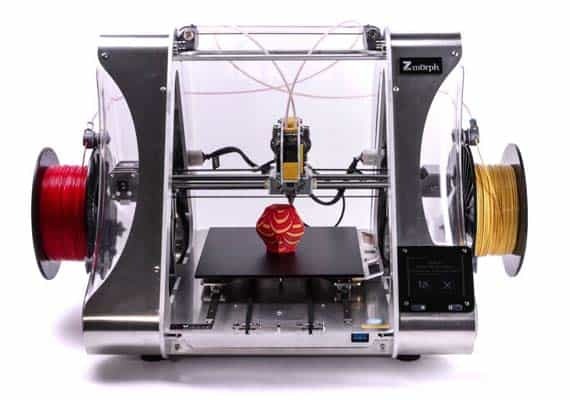 Zmorph 2.0 SX Review 2019 - Is This 3D Printer Worth The Money? 3D printers can be pretty confusing. They’re relatively new tech, and it’s easy to get overwhelmed by the sheer amount of jargon manufacturers like to throw your way. There’s one thing we think every customer can agree on, though: When you buy a 3D printer, you want it to be able to handle just about anything. 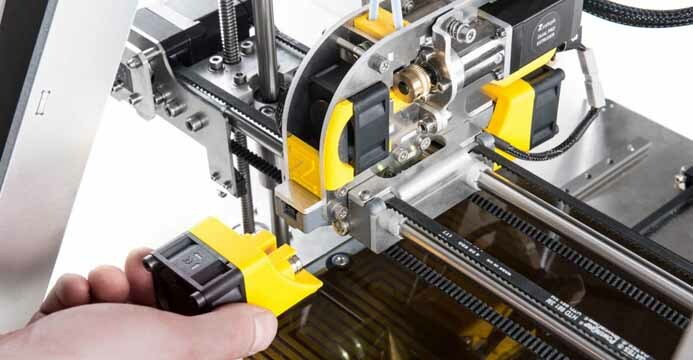 Zmorph seems to have taken this to heart when creating the 2.0 SX, though: it’s an ultra-versatile product with all kinds of different attachments. How well does it hold up as a printer, though? That’s what we’re here to find out. Although this printer looks complicated, it’s actually nice and simple. It has a modular design, so parts can be swapped in and out easily to suit the task at hand. For instance, while it uses 1.75mm filament by default, you can swap the standard extruder for the included 3mm one if you’d like. We’re big fans of the built-in touchscreen. It uses a simple interface with minimal clutter, so it’s easy to use even if you’re not particularly tech-literate. Zmorph claims that its interface is based upon a smartphone’s, so it makes sense that it’d be easily accessible to new users. Let’s not forget about the fantastic connectivity options. Usually, you’d expect to see USB and SD slots, but it’s a rare printer which includes WiFi functionality and an Ethernet port. 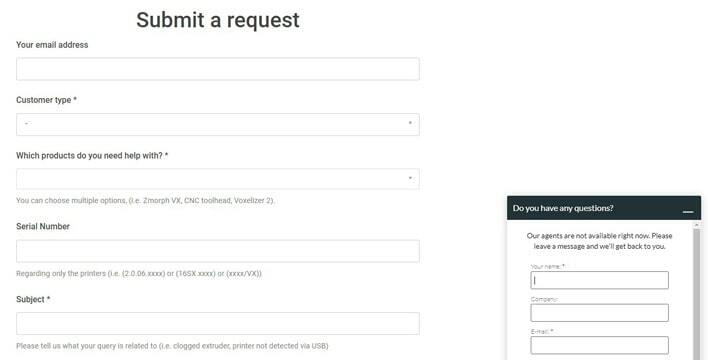 These features allow you to start and stop prints when out of the office, so you have a far greater range of control over how and when you print. We’re pretty impressed by how well this model prints. Admittedly, the objects aren’t ultra-detailed, but when you use the secondary extruder, you can create some stunning, eye-catching models. There’s very little material wasted, and edges come across sharp and crisp. It is a little slower than many of its rivals, though, with a top speed of just 40mm/s. The build volume is about average for a printer in this price range. It can be slightly expanded by opening up the case, but to be honest, this will prove unnecessary in most situations. Still, having the option is always a good thing. 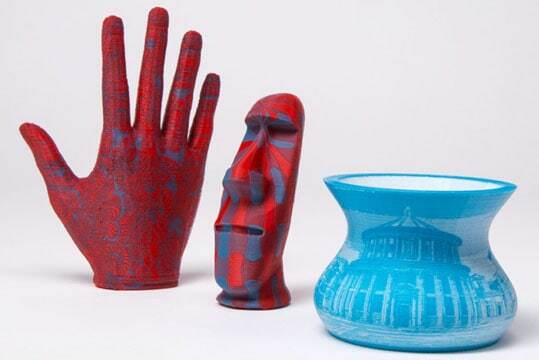 The 2.0 SX can print with an incredible range of materials, from the simple to the exotic. You can use a selection of thermoplastics, and even some water-soluble supports. You’ll still need a metal nozzle to print with wood-based filaments, but to be honest, this is a very small investment for a huge return. What’s most interesting about this printer is that it can do other things as well. 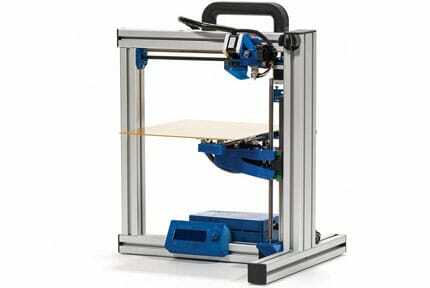 For instance, there are attachments that turn it into a bona fide laser cutter, engraver, and food printer. 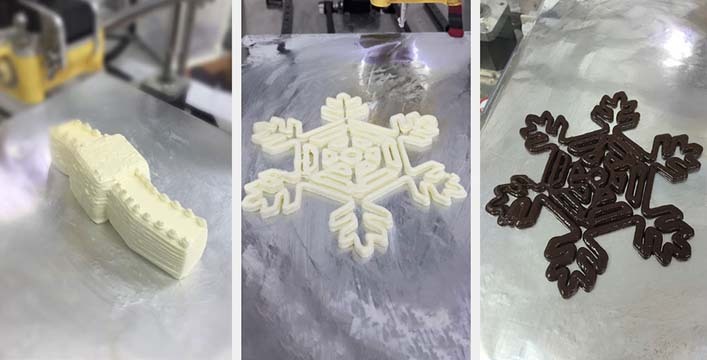 Of course, you can expect to pay a little more for this functionality, but if you’re interested in creating some more unusual prints, this is definitely the model you need. There’s also a built-in error adjustment feature called the closed loop system. This automatically takes the steps needed to correct any printing problems before continuing on as normal. As such, you won’t spend eight hours printing something just to have it fail – the 2.0 SX will always complete the print. We were particularly impressed by the snap-on, snap-off magnetic design. 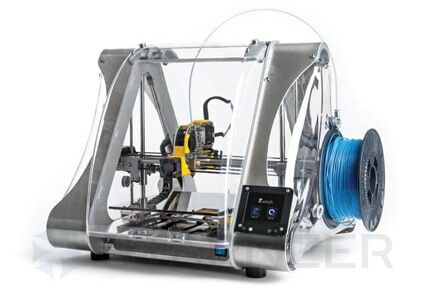 This allows you to customize your printer for a particular job by adding, say, an extra fan, or a secondary extruder. Best of all, there’s very little fuss given that the whole process takes a couple of seconds. 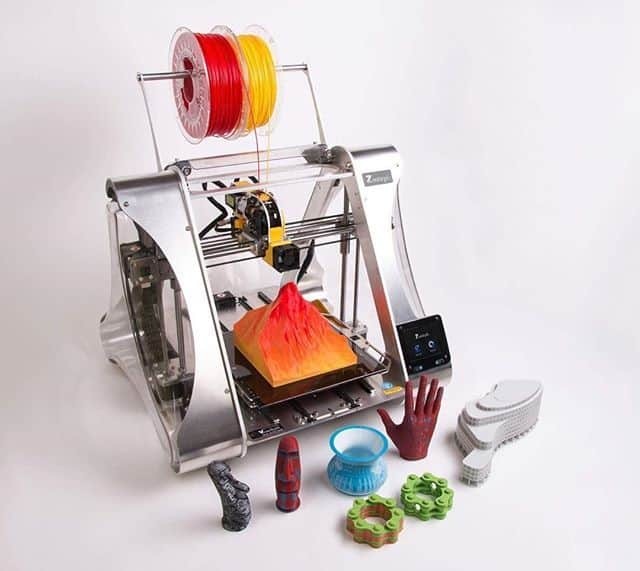 As you might expect, this kind of all-in-one 3D printer doesn’t come cheap. 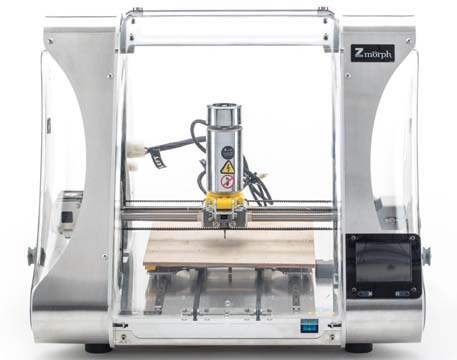 It retails for around $2600 and is no longer available directly from Zmorph. This is because it’s been superseded by the 2.0 VX, an upgraded version that costs about the same. However, this is just for the printer itself. Toolheads can be bought individually, but they tend to cost around $250 each. You could also buy a full set for around $1600 if you’d rather, but it’s far more cost-effective to only buy the ones you need. Really, the value of these tool heads depends on the work you’d like to do. Ultimately, this printer is likely to be too expensive for the casual hobbyist. Instead, it seems aimed at craftsmen, people who want to create fewer objects, each with a higher overall quality. If you can use it to make a profit, there’s very little reason to choose anything else, but if it’s your first printer, you might want to look elsewhere. The Zmorph 2.0 SX is fairly well supported, with in-depth maintenance and troubleshooting guides available on the official website. There’s also a forum where you can find more specific help for any given problem, and Zmorph Academy – a short series of lectures designed to introduce people to 3D printing. Zmorph can be contacted via email, phone, snail mail, or their online support form. Better yet, their site is available in both English and Polish, so you can use whichever language you’re more comfortable with. The warranty on this printer is pretty standard, lasting one year from date of purchase. Be sure to take good care of it, though, since it doesn’t cover damage caused by any attempted repairs. This is one situation where you’d be wise to consult the tutorials we mentioned earlier. 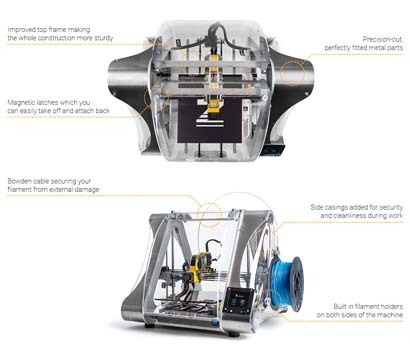 The Zmorph 2.0 SX is an interesting hybrid of a 3D printer and a multitool. However, it’s likely a little too expensive, and its applications a little too niche for most people.